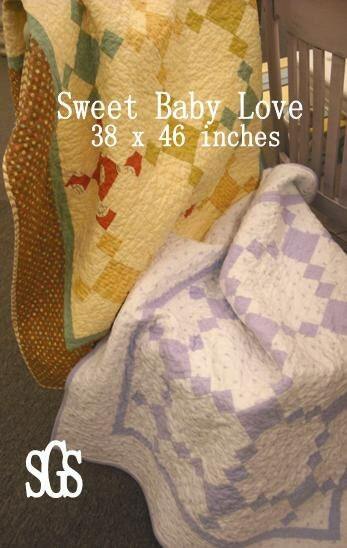 Sweet Baby Love pattern is 38 x 46 inches. It has clear directions printed in black and white along with a color front. Pattern is a baby quilt that is has a scrappy option and a two-color option. Our two-color option uses flannel but would look wonderful in cotton fabric as well. A very very good seller.